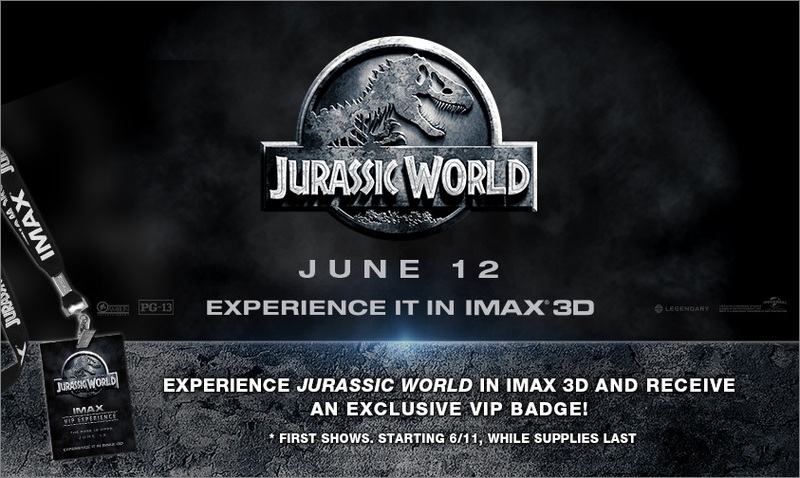 See Jurassic World In IMAX® and Bring Home an Exclusive VIP Park Badge! Check out the first showings of Jurassic World in IMAX® Thursday June 11, for a chance to receive an exclusive VIP badge. Those who receive a badge will have the chance to win a $100 gift card and prize pack. This giveaway is featured in Regal Theatres in the United States and Landmark Theatres in Canada. If you receive a lanyard, you will be prompted to post a selfie of your exclusive badge on Facebook, Twitter, or Instagram for a chance to win! Check it out and get your IMAX tickets to Jurassic World today! See below for a list of participating theatres.